Singapore is now a world-class cosmopolitan city that once began as a part of Malaysia. This little city-state gained independence in 1965 under the leadership of the late founding father of modern Singapore, Mr. Lee Kuan Yew. Singapura (as it is called in Malay) means “Lion City”, which is why the mascot Merlion can be found overlooking the Singapore River along the Esplanade. 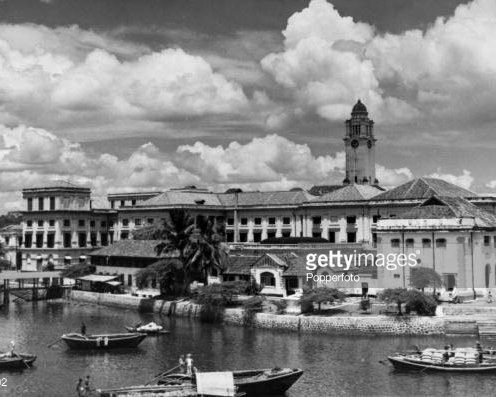 This former British colony, founded originally by Sir Stamford Raffles, embraces multiculturalism, multilingualism, meritocracy and equality. A statue of Sir Stamford Raffles can also be found along the Singapore River near the Parliament House. Many Chinese, Malay, Indians and Eurasians represent the predominant races in this small country. More touristy places include Orchard Road, City Hall, Bugis, Marina Boulevard, Boat Quay, Clarke Quay and Sentosa. These are nice places for shopping, dining. clubbing, sight-seeing and exploring historical monuments. The museums are located at Dhoby Ghaut, between Orchard Road and City Hall. The memorial to the civilian victims during the Japanese Occupation is also near City Hall. Singapore is known for its famous Zoological Gardens at Mandai as well as the Night and River Safaris. It's a good idea to visit all 3 in a day. For those who like more greenery, try taking a stroll at Gardens By The Bay. Sentosa is a tiny island off the south of Singapore that's linked by a bridge to the mainland. This island teems with many activities such as beachside bars and Songs of the Seas performance at Siloso beach, paddle board and a suspension bridge leading to the Southernmost Point of Continental Asia at Palawan Beach. A quieter beach would be Tanjong Beach which is home to the popular Tanjong Beach Club. There is also Resorts Worlds Sentosa that houses a casino, Universal Studios and Adventure Cove. If you have more time, do check out the Loyang Tua Pek Kong temple, which houses Taoist, Buddhist and Hindu deities as well as a Muslim Kramat close together in easternmost Singapore. Also in the east, you can take a boat to Pulau Ubin, a small, rustic island off Changi Village. Cross the bridge to Sentosa for paddleboarding and other beachside activities. See the vibrant colors and smells of Chinatown, Geylang Serai and Little India. No visit is complete without a day-tour to the government-subsidized HDB apartments where you can see the everyday lifestyles and rhythms of most Singaporeans. Try a meal at a local hawker centre such as East Coast for an authentic taste of local favorites like chili crab, chicken rice, dim sum, satay, mee goreng, rojak and fish-head curry. Even better, receive some foot reflexology done in the neighbourhood shops – a great way to relax and re-charge during your visit. The city's skyline can be taken in at the Singapore Flyer, Marina Bay Sands and One Altitude.